..your data to find problematic queries. First conclusion: The architecture of SQLTrace is simply not supported in Azure SQL DB. So, on to Extended Events. 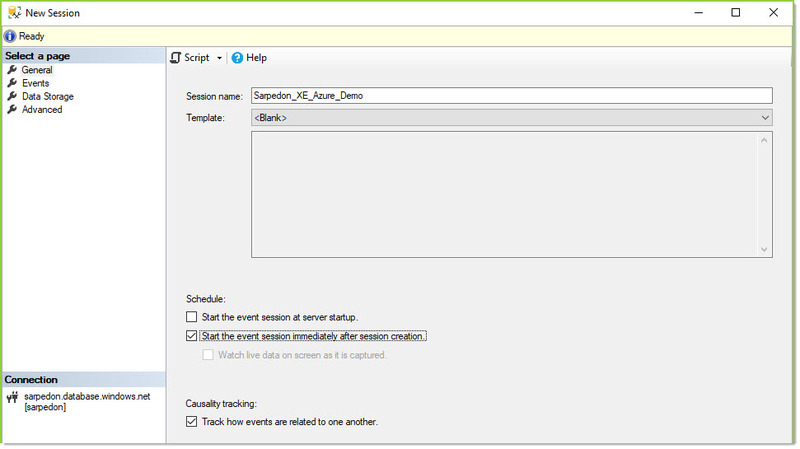 From there you can use the GUI to create your session, just as on-premise. You will notice that the option to start the live target viewer is greyed out. That’s because this target, not even the plain “event_stream” and “compressed_history”-targets, isn’t supported in Azure. Causality tracking, which is based on certain private “actions,” is supported though. You may also notice that less templates than on-premise are included. Mainly the “Profiler-equivalents” but also some others are missing. But who cares… I myself have never used any of them since they were introduced back in SQL Server 2012. The DDL is already so simple to use. Next you decide for your events, filters, and if necessary, actions. 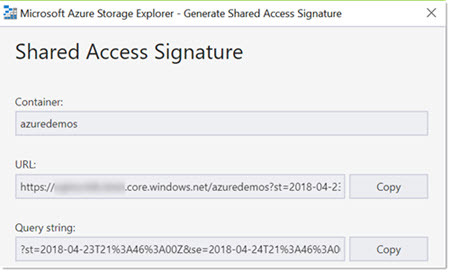 At the time of this writing, the last Update of SQL Azure DB from March 27/2018 offers 343 traceable events. Those can come in very handy! Now I am not sure this choice makes a lot of sense. Why the event_counter-target, why not histogram or pair_matching? From the extensive benchmarks I have done (Performance overhead of tracing with Extended Event targets vs SQL Trace under CPU Load), I know that the counter-target really does not have any less overhead than the file-target. And also, technically a file-target can easily give you a count. What I do not understand is, why Microsoft did not provide the pair_matching target. That one has capabilities that no other target has! And it’s not more complicated to support. I can only guess that this was based on real-world usage, and I find very few people who actually know about that special target’s advantages. Too bad. 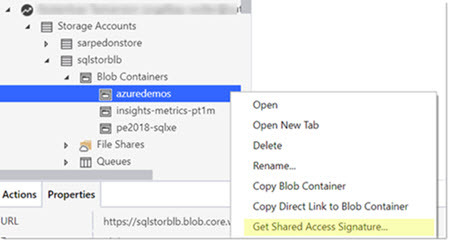 While the file-target is the easiest one to use on Premise, in Azure SQL Database there are some obstacles. This is because you do not have a concept of local storage. You need to use a path to a storage container. And for that you need a Storage Account and somehow allow the database to write to it. For all of this you can use Powershell. But I am going to show the manual approach via the Azure Portal. There you go to storage accounts and create a new one. Make sure to select “general purpose v2” and not v1 storage. For the other options chose your individual needs. Before we can create a Credential with the Shared Access Key, we need to have a database master key to protect that entity. You do not need to specify a password for our purposes. This server is managed by the Microsoft Azure platform. 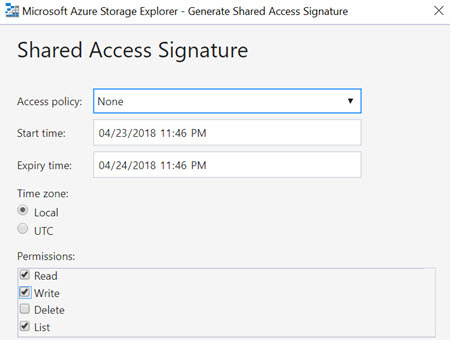 Now we need to create the Credential which will contain the Shared Access Signature to access our prepared storage account. As you can see you can create multiple Credentials on your database. 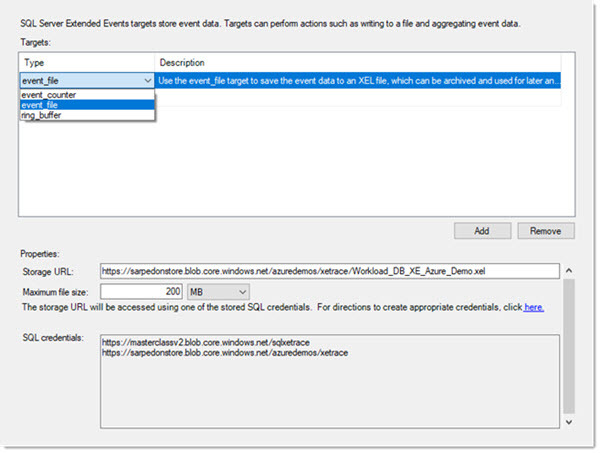 Once you are done and want to analyze the captured data there are 2 ways: SSMS Extended Events Viewer, or T-SQL using sys.fn_xe_file_target_read_file. Using the fn_xe_file_target_read_file-Function you will notice, that different to the local file target the storage container URL only accepts exact file name matches – no wildcard. This makes working with the File-Target extra inefficient. Because of this limitation though, I recommend downloading the files to a special monitoring server (in Azure) and taking it from there. 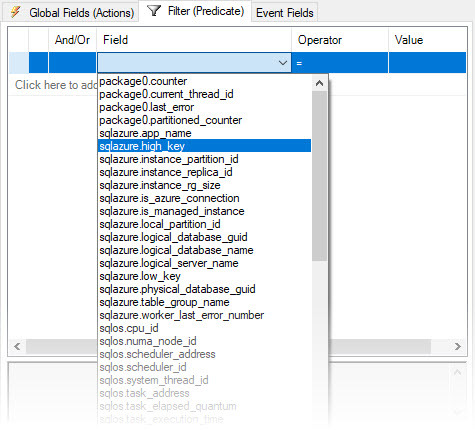 Now you can analyze the file locally in SSMS. The first times this procedure will be very clumsy and slow until you develop a routine and automation for all of those steps. 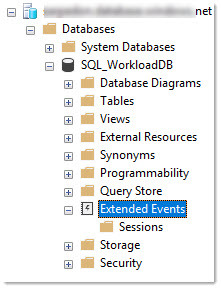 I hope this guide helps you get quick start with Extended Events in Azure SQL Database.